Similar to Ceramagic Styling but adds volume while styling. Ceramic plates-anodized heating plates aids in protecting hair from heat damage and strands from being pulled out (Plates remain smooth even after frequent use due to anodizing treatment). Tourmaline Ionic Plates are self-adjusting. Lightweight, easy grip and ergonomic design allows smooth operation. Excellent for all hair types: color treated, damaged, fragile, thick, coarse, etc. 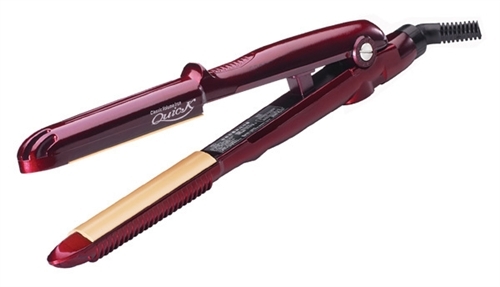 Creates luscious curls in minutes with natural static-free shine.